While I am a city kid, many of my relatives grew up in rural America. I’ve spent my entire life attending activities in what we refer to as “the country”; family reunions, county fairs, visits with cousins. Through these experiences, I have developed a mild romantic fascination with the machinations of farming. I respect farming, but I’m obviously not a farmer. Farming seems like difficult, complicated, and tedious work to me. Every time I’ve asked someone to break it down for me, I’ve ended up feeling overwhelmed and a little awe-struck that anyone would want to do this for a living. And that’s kind of how I feel after spending a week fussing around with Farming Simulator 19. To be clear, I’m not going to bash on Farming Simulator 19 for its content. I’m not going to call it “boring”, or make light of its primary gaming loop of “buy-plant-harvest-sell-buy”. Anyone that has spent time grinding for a new weapon or power in an RPG will instantly recognize the rat-push-button, rat-get-sugar work/reward system at play here. We play the game, the numbers go up, we buy new stuff, we continue playing the game. The loop is the same, regardless of the genre. Just because the farming skin that this loop is embedded in didn’t engage me on a deep level personally does not mean that Farming Simulator doesn’t have a lot to offer its primary audience. There will eventually be a relaxing and engaging game here for people that enjoy this sort of thing. I’m not going to dishonor a large audience for liking something that I don’t. I am, however, going to take the game to task for having some wonky AI mechanics and an extremely rough learning curve, but that’s life in the big city, I guess. 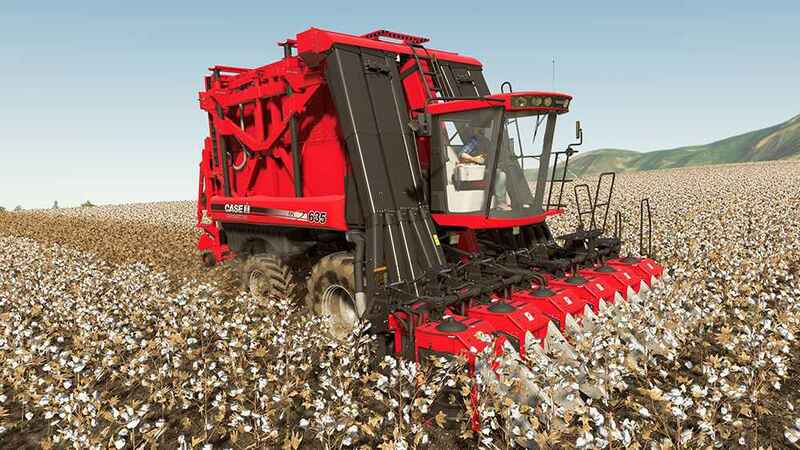 Farming Simulator 19 is a definitely a game that iterates on previous entries in the series. This being my first run at Farming Simulator, I was struggling to figure out how to get started. I hopped online and found some “beginner’s tips” posts for Farming Simulator 17 and they read as though they were written directly for the game I was playing. While there might be new crops, horses, and the John Deere license in this latest version, series fans should be able to slip into this game like a warm bath. As a newcomer though, things were not so easy. Farming Simulator 19 offers a series of short tutorials to explain the (very) basic mechanics at play in the game. Stuff like how to plow a field, how to hook things up to your tractor, how to chop up logs and load them in your truck. The 90 minutes or so I spent playing through these tutorials was a bit of a slog, but greatly valuable in the long run. You actually have to hook all this stuff up to the tractor each time you want to use it. From there, I jumped into Career Mode, opting for the easiest setting. The blurb below this setting read something like “Start with plenty of money and resources, and we will teach you how to play Farming Simulator”. This, my friends, is a seductive lie. Plenty of money and resources, sure. Teaching me how to play? Absolutely not. Starting in this mode allows players to take on a very brief series of quests, which will guide them through their first round of crop growing from beginning to end. That’s it. The learning then comes to a crashing halt as the game completely abandons new players to figure out the rest of Farming Simulator on their own. There is nothing in the tutorial about how to buy more land, how to procure or care for livestock, where to sell your stuff for the most profit (or even that this should be a consideration). Just…nothing. You sell your first round of crops, and the game says “Watch for more quest markers!” which never appear. Nobody will tell me where I can buy these levitating chickens, damn it! For a game with this level of complexity, this is frankly unacceptable. There has go to be a better way to teach people, because with only this tutorial to guide them, farming noobs are going to take a look around and just bounce. But armed with at least some basic farming knowledge, I was able to make some progress. 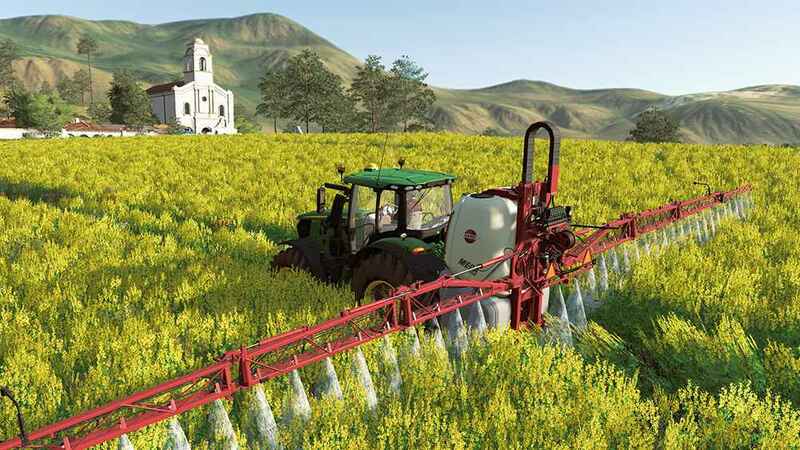 At its most basic, the general flow of growing crops in Farming Simulator 19 works like this: You cultivate a field with a big machine by driving back and forth over it. Then you sow seeds in the field with a big machine by driving back and forth over it. Then you harvest the crops from the field with a big machine…you get the point. Then you dump the crops into yet another machine and haul them to town for sale. If all of this driving back and forth sounds tedious, it is. So Farming Simulator 19 gives you the opportunity to press a button and hire a dude to do the dirty work for you. You can then sit back, strategize, and watch your fancy machine driving back and forth on its own. Until, that is, the guy you hired suddenly stops driving for what the game calls “unknown reasons”. I quickly realized that “unknown reasons” could be translated to “abject AI failure”. In fact, I found that the hired-hand AI has all sorts of problems. Beyond stopping for no reason, I experienced instances where the AI simply mowed a corner of a field and stopped, and times where it was utterly unable to comprehend the shapes of fields that were not symmetrical. When the game encourages players to wind up these hired hands and let them go, having them fail all the time leads to a lot of frustrating babysitting. Regardless of the incompetence of my idiot employees, I was able to settle into a nice pattern of cultivate-sow-reap-sell in my initial four fields, and found myself actually enjoying the loop. I gained enough proficiency that I was able to get through the entire process for all four fields in one game-day, which I considered a massive success. However, I wasn’t getting rich fast enough, and I wanted to buy some chickens. Poking around in the UI, I discovered that Farming Simulator 19 offers contracts for hire from other local farmers. These generally involve doing the same sorts of jobs that you are already doing on your own farm, but with massive cash payouts. If you don’t have the correct equipment for the job, you can lease it from the local store. I found that I could set my automated employees to work on my fields in the morning, then drive across the map to the store. Picking up my leased equipment, I would then dash to the contract location and get work going there. Then I would drive back to my farm to check on my crew of morons, and either correct their failures or start them on their next task. Then I would drive back to the contract area to check progress. And on and on and on, through the end of the day and for every day after. 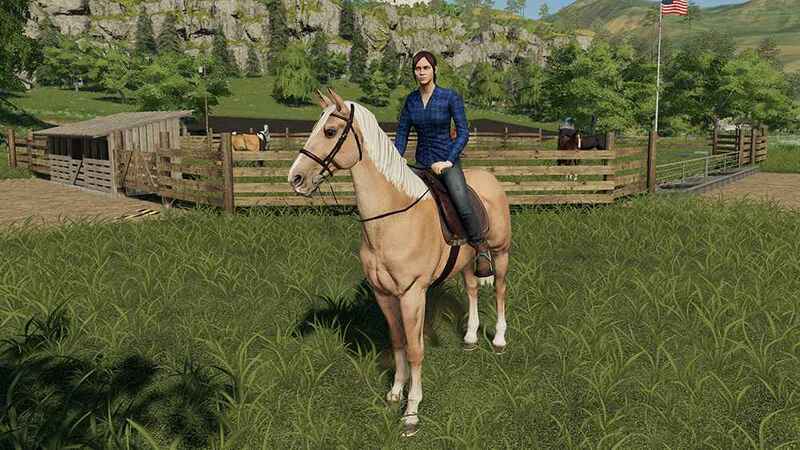 You are able to raise and train horses in Farming Simulator 19. While I was able to pull all of this off, it did start to feel an awful lot like work instead of fun. There was a sense of satisfaction as I was able to buy bigger and better equipment to get things done more efficiently. Now I have a faster tractor! Now I have a dog! Now I have a chicken coop! But I couldn’t shake the fact that I was actively having to run around babysitting the game to make forward progress, because at any moment one of my AI assistants would crap out and the whole thing would come crashing down. So in the end, while I acknowledge that this game’s setting and gameplay don’t really work for me, a far bigger issue is that the game simply doesn’t work very well. If Farming Simulator 19 functioned better than it does, I could actually see myself digging a bit further. There’s got to be some good stuff, right? 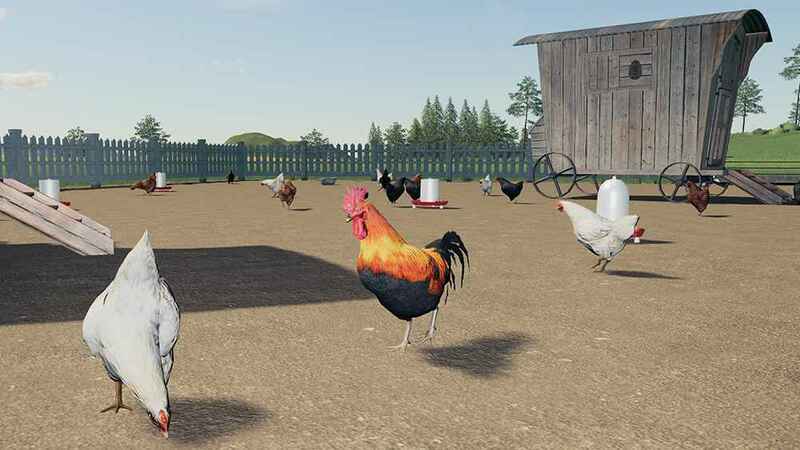 Setting aside the floundering AI, there is a lot to like about Farming Simulator 19. Visually, this is a very nice looking game. 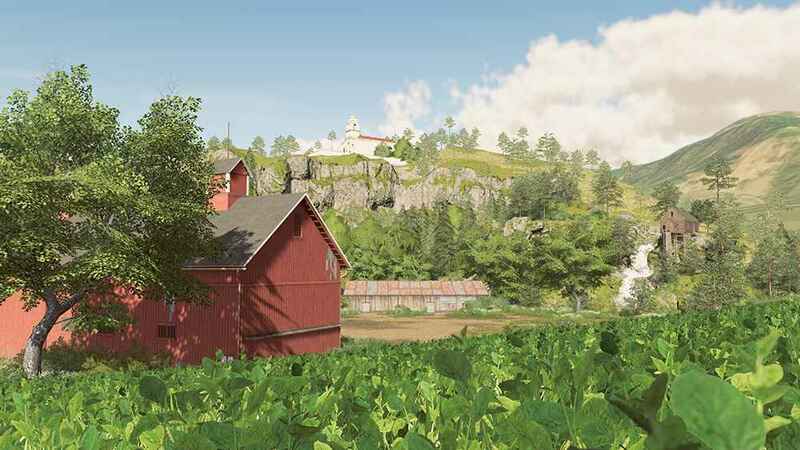 The developers have clearly spent some time in the rural United States, as some of the graphical touches in the open countryside felt so genuine that I was a little stunned by their realism. I can’t speak to the accuracy of the European map, but the US map feels spot on. 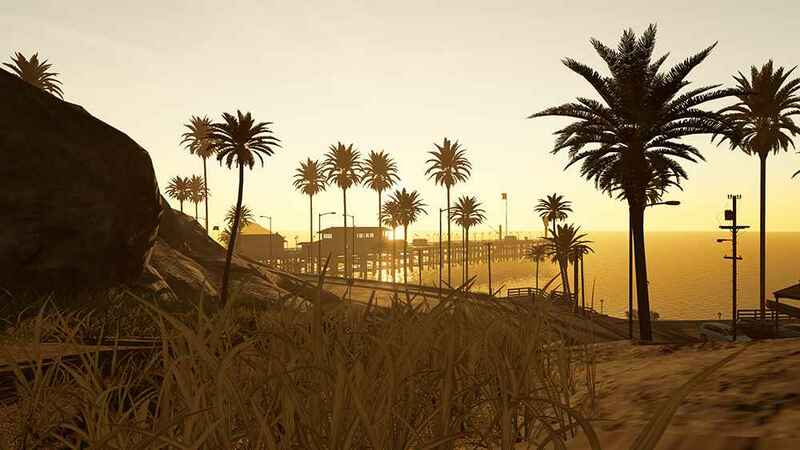 No, that’s not San Andreas. It’s Farming Simulator 19. The systems at play are very deep, and the underlying economy of trading crops and livestock seems sound. There are tons of licensed vehicular options to purchase, and while I’m not an expert on farming equipment, it seems very nicely rendered. 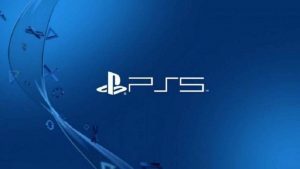 There are systems in systems in systems, and for the patient newcomer or the seasoned pro, there is a huge game here to discover. Farming Simulator 19 even includes the ability to trick out your tractor a little bit, which I found amusing. Poking around in the hyper-complicated UI, I discovered a nice internal how-to wiki, which helped me navigate some of the game’s more enigmatic processes. While not as helpful as an actual tutorial, I did appreciate its inclusion. I discovered online that there is a large modding community built around fiddling with Farming Simulator post-release. In fact, modding is such an expected part of the experience that there is actually a “Mods” prompt in the start menu. Hey, wait! 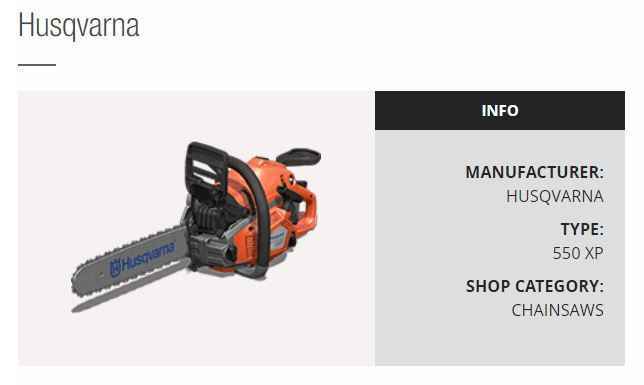 I actually have this chainsaw in real life. 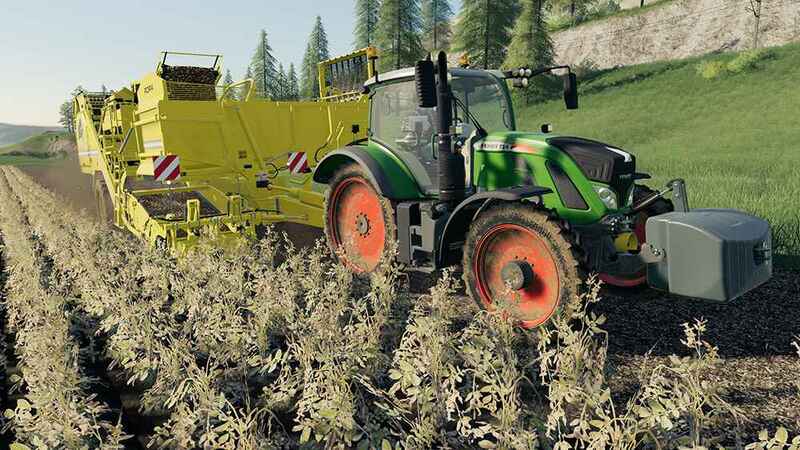 It is very likely that after Farming Simulator has been on the market for a month or two, mods and patches will make the game much more playable that it is in its current pre-release state. 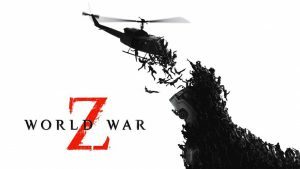 The development team themselves will more than likely go in and patch up the AI issues, and maybe bolster the tutorial a bit. But until that time, Farming Simulator 19 is a bit of mess. With time Farming Simulator may become a viable and interesting strategy simulator, but as of release, it feels like frustrating work.